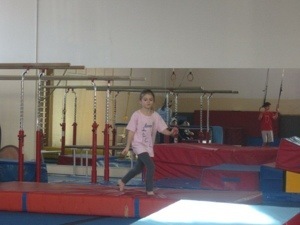 I like gymnastics. It gives you exercise. Does it give you exercise too? It is fun. There is a foam pit and Monkey bars and a trampoline and a rope. 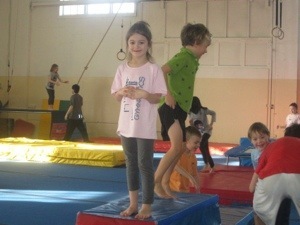 Wow you look really good on the beam. Good luck with that, as I know it is very hard to balance sometimes. 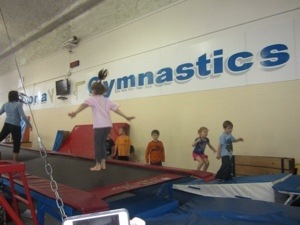 I love gymnastics too! It is good exercise. 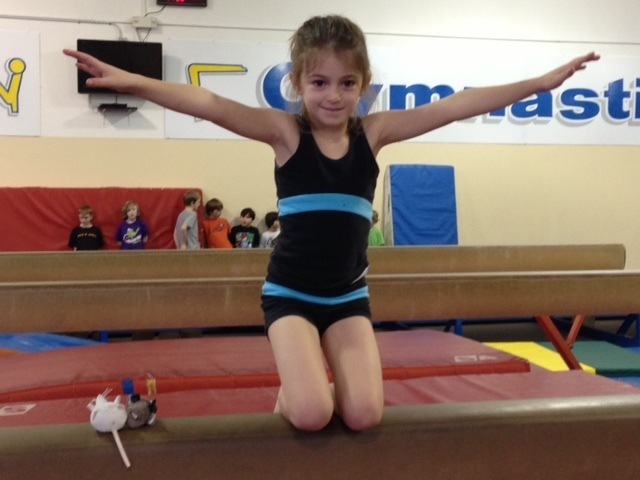 What is your favourite thing to do at gymnastics? WOW Cate… in the first picture you look like you are flying! Hi Cate — I met your Dad today at Algonquin College. He gave me a copy of his book. Do you like to read? Do you have a favourite book? My favourite book is my dads.